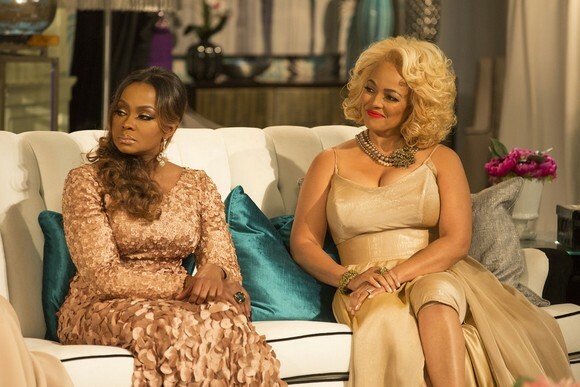 Kim Fields Says “Note To Self: Don’t Mess With Sheree!” Plus, Did Bravo Treat Her Badly? With just one more episode of The Real Housewives of Atlanta reunion left to go, we are saying goodbye to Kim Fields. Kim confirmed this week past week that she won’t be returning for a second season of the reality show. Rumor has it that it wasn’t the cast that drove her away, but poor treatment by Bravo?! The source says Kim has been easy going on the set of DWTS because she’s so happy to be treated so well. “Kim was gracious, wonderful, could not stop thanking everyone because Bravo treats her so badly.” Bravo didn’t comment on the story to Page Six, but you have to take these stories with a grain of salt. I would guess that it’s more the cast, producers and the editing more than Bravo as a whole that “mistreated” her. Not that it matters at this point since she refuses to come back. Our “challenges may be different” = my husband isn’t in prison. TELL US – WILL YOU MISS KIM NEXT SEASON? DO YOU THINK BRAVO MISTREATED HER? NeNe Leakes Kicks Off A Stand-Up Comedy Tour In Charlotte On April 13th!